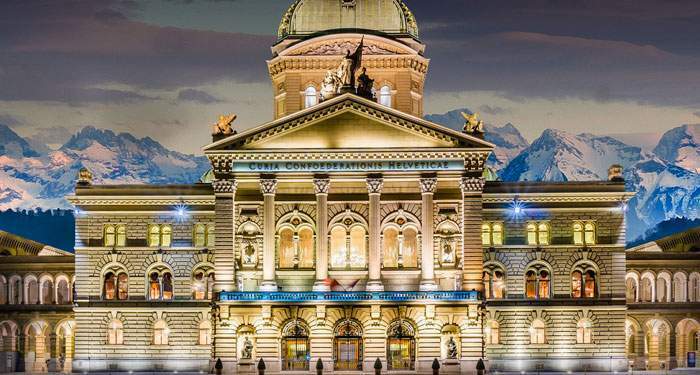 Switzerland has elected to allow online gambling, though a newly approved law intends to block foreign operations from sharing in the Swiss market. The Swiss voters have overwhelmingly voted to legalize certified Swiss online casinos, but they also voted for Swiss providers to block all foreign betting sites. The new Gambling Act won an overwhelming support of 72.9% of the Swiss voters, according to final results, despite accusations that the law amounts to online censorship. Due to take effect in 2019, the act, which will be one of the strictest in Europe, allows only Swiss-certified casinos and gaming firms to operate. The government says the bans are put in place to tackle gambling addiction. Both houses of parliament have already passed the legislation. Thanks to the new gambling law online games of chance are now also allowed. Nevertheless, there are only 21 providers who can also offer online games of chance. Swiss Justice Minister Simonetta Sommaruga argued that the bans are necessary to ensure compliance with the nation’s laws on gambling, such as rules requiring them to block known addicts. Sommaruga also alleged that gamblers in Switzerland pour about 250 million francs, around €215 million, into foreign gambling sites which pay no in-country taxes and thus do not contribute to anti-gambling programs. Opponents said that the government could have instead offered incentives to companies that agree to be taxed, as well as “charge the new law will actually drain away revenues, since it raises the threshold for taxable winnings to over one million francs, compared with 1,000 francs today,” AFP wrote. Additionally, they alleged that the referendum on the issue was being driven largely by big money from Swiss casinos, who stand to cash in big time from a prohibition on using the internet to place bets with their competitors. IP and domain bans are nothing new where it comes to attempts from governments to control online gambling but we all know these bans are easily evaded using services such as a virtual private network (VPN). However, according to Intellectual Property Watch, legislators stressed that they were aware of the technical limitations but that other countries were nonetheless successful at moving gamblers to legitimate sites via this method. Luzian Franzini, the head of the Greens’ youth wing, told AFP that the law sets a “very dangerous precedent” towards internet censorship and that there was a “generation gap” with lawmakers. “They may not really have understood what this could do to the internet,” Franzini added. Now the question is which casinos will be legalized so they can server the Swiss market and wether Switersland can indeed be succesful t oo a certain extend in banning illegal online casinos and track the group of (possible) gambling addicts to prevent them from gambling even more. Only time will tell.